Wire's three Harvest released albums in the 70's are often referred to as a kind of "accelerated development triptych". The differences between the reductive minimalism of 1977's Pink Flag and the layered baroque (albeit still minimalistic) of 1979's 154 show a staggering turn over of ideas, yet each album remains iconic. 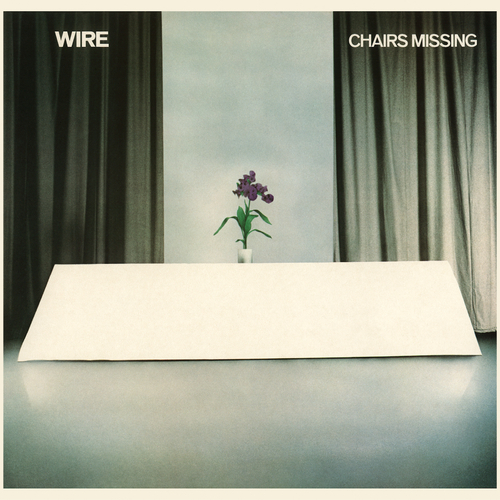 1978's Chairs Missing represented perhaps the biggest conceptual leap made during this period of Wire and was widely misunderstood at the time yet it remains to the band and production crew, Wire's favourite 70's album. The clarity of vision of the band at the time has been rewarded with a large appreciation in it's standing in hindsight the album also having been awarded (alonside Pink Flag) the distinction of a 10.0 rating by Pitchfork Media amongst many other plaudits. Chairs Missing has been influential on the British wave of the late 70's & early 80's, Britpop and 21st C art & post punk and provided Wire biggest "nearly hit" in "Outdoor Miner".